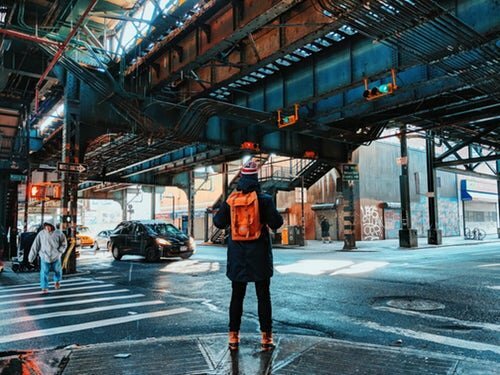 In the past few years, Brooklyn has become one of the top destinations for people all around the world. Even though other New York City boroughs are in the top of that list as well, there is something special about Brooklyn. Nowadays, it is the most wanted place to live for different kinds of people, form young entrepreneurs, to retired seniors. And this fact is no surprise at all, because of the cost to live in Brooklyn is way more affordable from Manhatten or Queens. And you’ll still be in the Big Apple, the greatest city in the world. Important to realize is that life in Brooklyn has its own specifics, which you need to learn before the move. And there are many people from New Jersey who are deciding to move to NYC. Therefore, we’ll help you prepare for moving to Brooklyn from NJ. The first thing you need to realize before moving to Brooklyn from NJ is that NYC is a very different city than any other in NJ. Therefore, you will need to prepare for such a big change in your lifestyle. There is no reason to stress about this, as living in Brooklyn is not that hard at all. Just a bit different. And if you manage to spot these differences before moving from NJ to Brooklyn, you will adapt to the new surroundings in no time. What you need to know is that Brooklyn is the center of diversity, hence there is no reason for you not to get used to this beautiful NYC borough. If you are a cheerful and open-minded person, then moving to Brooklyn is definitely a great decision. 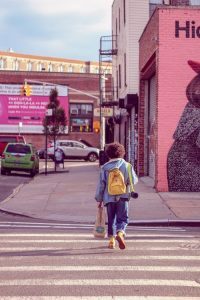 Once you start looking for information relevant to life in Brooklyn, you should use the opportunity to read a bit about the process of moving to Brooklyn as well. This is particularly important if you are moving for the first time, so make sure you investigate this topic thoroughly. Make sure you write down all relevant information, as they will be useful once you move. It is easier to go through your notes than researching everything all over again. As there are many people moving to New York City on a daily basis, you’ll need to start your preparations on time. So, once you finish with the research part, it is time to start planning the upcoming relocation. Moving plan is an ultimate tool that will help you handle this bug project easily. Important to realize is that we listed only some of the topics you need to cover. In reality, there are many other things you will need to handle, and your job is to make sure you do not forget anything. Therefore, use the notes you made during the research to help you conduct this plan. Are you buying or renting a property in Brooklyn? 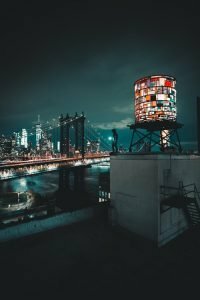 One of the biggest questions you need to answer before moving to Brooklyn from NJ is accommodation. In general, you have two options – purchasing a property in Brooklyn or renting one. The answer to this question depends only on your needs and possibilities. If you are moving for good, then purchasing a place is a smart move. If you can afford that, of course. On the other hand, if you are going to live in Brooklyn temporary, you should rent an apartment, as prices of properties in NYC are very high. Whichever you choose, make sure you have enough time to complete this task. This way you will be able to find the best deal for buying a place or to negotiate your rent in Brooklyn. Soon after moving to Brooklyn from NJ you will realize that living in Brooklyn is everything but cheap. Therefore, you need to think about the money before you start planning your NYC relocation. There are many ways to save on the move, and you should make sure you do. Whatever you can do on your own, do it instead of paying someone else for the job. Try to find some free or affordable moving boxes Brooklyn for packing, as this can save you a fair amount of money as well. Remember that you will need to hire decent local movers Brooklyn for this undertaking, which can take some time. Even though there are many moving agencies in the city, most of them are scheduled months in advance. And as there are some fraudulent activities in this industry, you must be cautious not to fall into the trap. So, be smart and start on time. If you are moving to Brooklyn from NJ, you can consider yourself very lucky. Many people will envy you, and that is the fact. But, before you get overwhelmed with euphoria, you have an important thing to handle. Relocation is a very demanding, challenging, time-consuming, and expensive project. Therefore, you need to organize every detail in advance. Keep in mind that you should think about your first month living in Brooklyn as well. Once you change surroundings, you will need to adapt to your new neighborhood, and it would be smart to know the most important things in advance, such as transportation, local stores, and local culture. 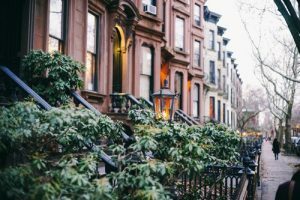 Once you know these, you’ll have no problem enjoy your new neighborhood from day one after moving to Brooklyn from NJ. You’re about to do one of the best things in your life, and be the part of the city that never sleeps.